This forest near Aberdeen has some good walking paths and mountain bike trails to try. There's also a series of hills to climb with great views over the surrounding area. You can start your exercise from the car park at the south eastern corner of the forest, just off the A96. Head west and then north and you can climb to Tyrebagger Hill at a height of 306m. On the top of the hill you will find a viewing tower with a spiral stairway. Climb to the top for fine, far reaching views over Aberdeenshire. From Tyrebagger Hill you continue to the Hill of Marcus before descending to easier woodland trails. Use the open street map link below to see the mtb trails mapped out. To continue your woodland walking in the Aberdeen area head north west and visit the Bennachie Forest. There's more fine trails with some challenging climbs in the Bennachie Hills to enjoy too. If you head east you can visit Balmedie Country Park on the coast. There's a beautiful beach with boardwalks and stunning coastal views. Also to the west is Haughton Country Park where there are nice woodland trails and waterside paths along the River Don. If you head south you can visit the 13th century Drum Castle and explore the estate surrounding the castle. 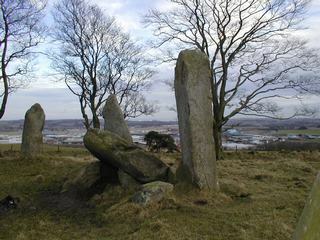 The Loch of Skene can also be found just to the south west. It's a lovely peaceful place for birdwatching and easy strolls.